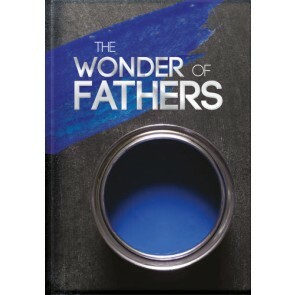 A treasury of quotations, proverbs, poems, Bible passages, and inspirational thoughts expressing love, respect, and admiration to fathers. Uiteindelik is daar ’n man wat vroue waarlik verstaan! 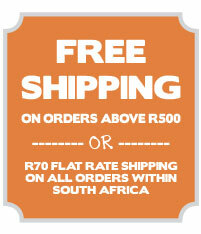 Eintlik was Hy nog altyd daar en Hy is ook geen gewone man nie. Jesus weet presies waarteen jy te staan kom. Hy is altyd daar om te luister en te bemoedig; en waar jy probleme het, het Hy oplossings. Jesus wil deel van jou lewe wees. 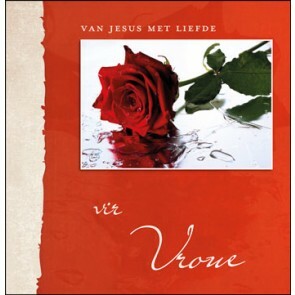 Die boodskappe van Jesus in hierdie boekie gaan verseker jou geloof versterk, jou ’n hemelse perspektief gee op die dinge wat vir jou belangrik is en jou help om die meeste uit die lewe te kry. 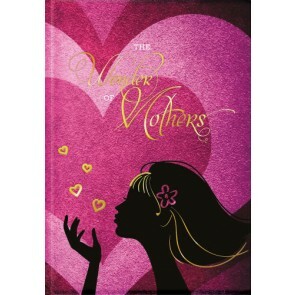 A gift from the heart, this quotebook is sure to bring inspiration to that wonderful person we know as mother. 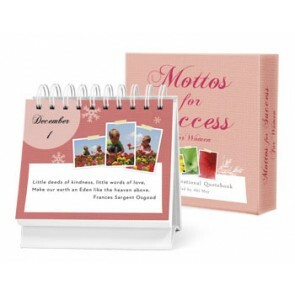 The Mottos for Success series of inspirational quotebooks offer an original maxim or motivating thought for each day of the year. An excellent and attractive addition to any desk or coffee table. 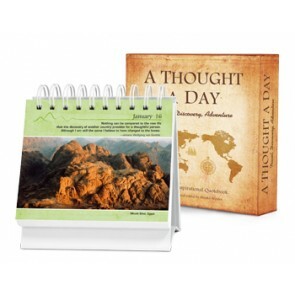 Be inspired by a fresh new thought each day of the year on the topic of exploration, travel & discovery. The first edition of the inspirational "A THOUGHT A DAY" series, features unique daily quotations and photos of some of the world’s most interesting places that speak to the adventurous soul. 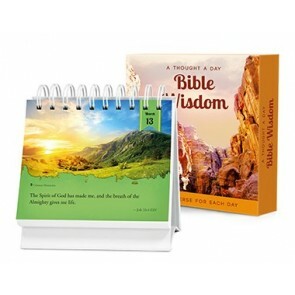 Be inspired by a fresh unique bible verse each day of the year. 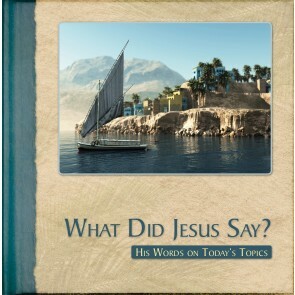 The second edition of the inspirational A THOUGHT A DAY series, featuring quotations and photos that will help you connect you with God’s spirit and make your day richer and more meaningful.